One of the most heavenly places off the beaten track, Birishiri is favorite amongst all tourists who love nature and adores scenic natural beauty. 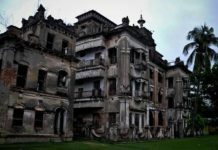 Birishiri lies in Netrokona District. In the backdrop of Birishiri lies the ceramic hills of Durgapur, and the Shomeswari River exists at the center of Birishiri which makes this place truly a paradise for all nature lovers. Transport: Many buses services from Uttara, Moakhali Bus Stand etc. Cost: Depend to coverage tourists spots. Advice: Keep dry foods, water, medicines, saline, glucose, extra money, and kits. All tourists will be stunned by the beauty of this place; it would not be an exaggeration to say that a living portrait of nature is Birishiri. There are many ethnic groups in Netrokona District such as Banai tribe, Garo tribe, Hajong tribe, etc. There is an ethnic museum in Birishiri where tourists can have a glimpse of the beautiful and rich history of the tribal people. Birishiri indeed can offer all tourists who visit the place a genuine experience. Apart from the natural beauty, Birishiri has many places which tourists can visit. 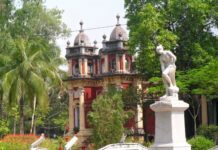 The beautiful palace of Susang King, the Dasha Busha Temple, Ramakrishna Temple near Kulapara, Baba Loknath’s temple. Furthermore walking along the soft sandy banks of the Shomeswari River tourists can walk in the Orange forests and the spice gardens with cinnamon leaf and bay leaf trees which will surely rejuvenate the tourists from all the lethargy from the urban life. 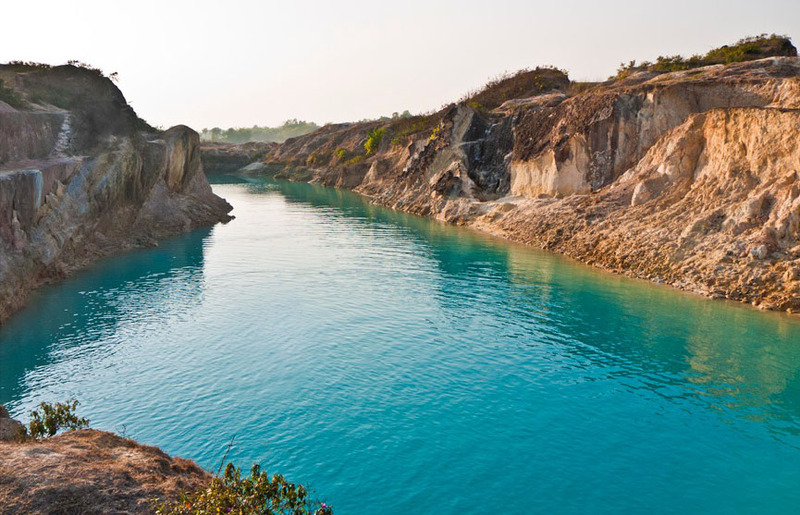 Birishiri hosts one of the most beautiful natural retreats of Bangladesh. Tourists can also take a ferry boat for 20 taka per person and cross the beautiful Shomeswari River to explore the natural beauty of the other side of the river. “Chinna Matir Pahar,” the hill of the White China Clay also lies in Birishiri and is one such beauty which lies on the other side of the Shomeswari River. If tourists start trekking early in the morning, they will probably be seeing the china clay hill at around midday and will be back to the point where tourists have crossed the river at around 2:00 or 3:00 in the afternoon. Tourists who are adventurous, or who loves water can take a swim in the river which is a fantastic feeling. After all these tourists can be back to Birishiri town before sunset, have a good dinner and also will be able to take a good night rest. There are some buses; tourists can just go and ask the bus terminal people and tourists will know the buses which depart to Birishiri, in Moakhali Bus Stand. Tickets will cost around 200 to 250 taka per person. It takes 4 hours to travel from Dhaka to Birishiri. In all seasons Birishiri is perfect for traveling as its natural beauty takes a different form of beauty in different seasons. Birishiri is the last stoppage of the buses which depart from Dhaka to Birishiri so the fear of getting down in the wrong bus stoppage will also not be there. In the last 30 kilometers of the road from Dhaka to Birishiri is a bit bumpy as the roads are not properly constructed. 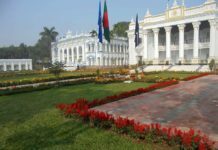 It is also wise for tourists to know, on the day they will be leaving Birishiri, at which time buses in Birishiri will arrive to depart to Dhaka as the timetable for buses are not fixed. There are two good guest houses at Birishiri, ran by missionary organizations. YMCA (Young Mens’ Christian Association) and YWCA (Young Womens’ Christian Association) hostels. A room with two bed costs 250tk-450tk. There is also an eight-bed hostel room in the YWCA establishment. Tourists can stay there with friends, and it requires 150tk. For each bed. Both guest houses are within 10 minutes of walking distance from the place where tourists will get off on the bus. The local sweet items of Birishiri are genuine and amazing to taste, the sweets of Netrokana are famous all over Bangladesh. There are also many local restaurants where tourists will find tasty foods to eat, and it is better to carry light food when trekking or visiting the attractive places of Birishiri.